Mark Kalluak was born in 1942 and raised in the traditional Inuit lifestyle in and around the Tavanie area on the Western shore of Hudson’s Bay. In 1948, he was among many Inuit polio victims evacuated from their igloo homes to Winnipeg for medical treatment. During four long years in the hospital, he literally taught himself to read and write syllabics, and how to read and write a second language: English. Mark worked in education ever since the first instructional programs were established in the North. He served as a teacher, translator, classroom assistant, and adult educator. He was the Cultural Heritage Coordinator for the Government of Nunavut’s Department of Education, working to ensure Inuit traditional knowledge was truly imprinted in Nunavut’s new Kindergarten to Grade 12 curriculum. Mark first heard the traditional stories he documented from his mother. He published (and illustrated) some of these in a variety of collections, beginning with How Kabloonat Became and Other Inuit Legends, published by the Northwest Territories Department of Education in 1974. Mark was a recipient of the Order of Canada. He held a number of awards and certificates in recognition of his skills as a writer and language specialist. 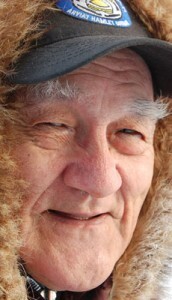 He was also a respected elder in Arviat, where he lived surrounded by his seven children and many grandchildren.